The Youth Club Pilot Scheme started on 23rd January 2017 – the Club meets weekly on a Monday evening in the Royal British Legion Hall and is available to youngsters in school years 6 to 9. The sessions are being supervised by Community Mentoring & Support (CMAS), which is a well established organisation with experience in running similar sessions elsewhere in the county. The Club will evolve over time to meet the needs of those attending, and grants will be applied for to fund future equipment and activities. We hope the Club will prove popular with local youngsters. Further information about CMAS can be found here and details about the Youth Club are regularly posted here. Attendance has been much higher than anticipated, with well over 40 local youngsters attending most weeks. As a result, the sessions have had to be split while we review the activity from the first 3 months and agree the way forward from April onwards. Updates will be posted on social media, so do keep an eye out for these posts. The Council is extremely fortunate to have been awarded a grant from the Police & Crime Commissioner's Fund which will secure the future of the Youth Club until April 2021. Further information about the fund is available here. 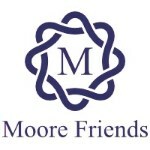 The Council is delighted to have received funding from Moore Friends to enable us to offer an Outreach service to young people in the village for 2017. The Council is pleased to also have received funding from Gloucestershire County Council's Children's Activity Fund which will allow us to purchase sports equipment to be used at our Youth Club sessions. 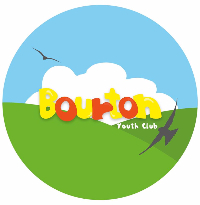 Thanks to funding from Moore Friends and Cotswold District Council, and a venue being provided by Bourton Baptist Church, Winter Outreach sessions ran on Wednesdays.